In what has been dubbed “The Core Wars” between Computer Processor giants Intel and AMD the little guys AMD are fighting back against the dominate enemy with their Ryzen Threadripper 2. 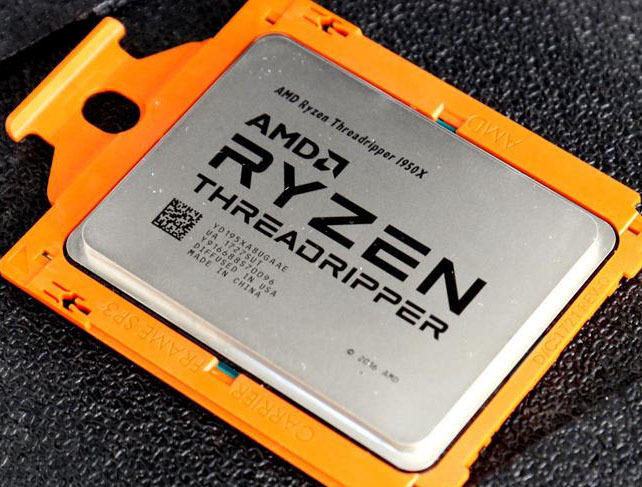 Intel recently shocked the planet when they dropped the low down on their plans to build 28 core chips to be release before the end of the year now just a day latter AMD announce that they have 32 cores in their new Threadripper 2 chips. That’s not the best part, not only will AMD’s processors have more cores but they will use air cooling so should be cheaper and if you’re in to that sort of thing can probably be over clocked if water cooled. What with all these CPU Cores, Streaming, VR Tech and 4K gaming that humble old PC that has served you so well all these years probably needs a new home in a skip.